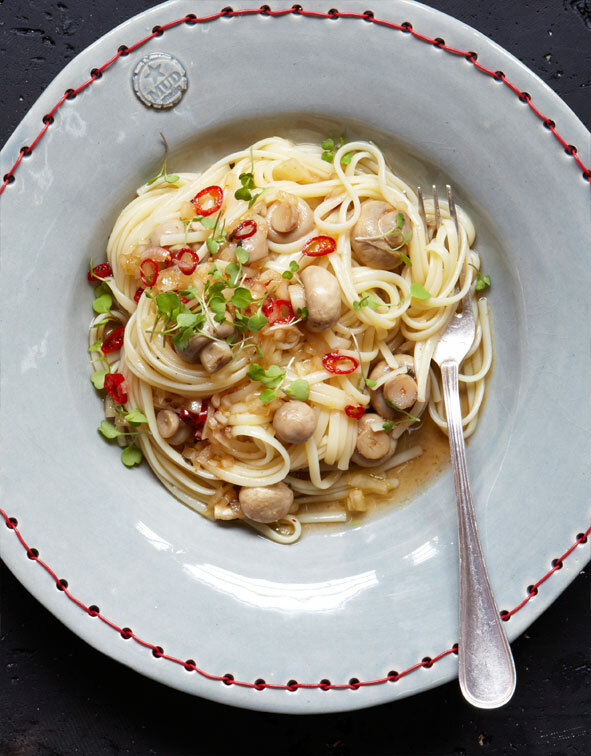 A simple, elegant pasta dish – linguine just like the Italians would do it. Make mushrooms the hero with a jar of Pronto Mama Marinated Mushrooms. Heat the olive oil in a small saucepan and add the chilli and garlic. Cook for 1-2 minutes the add the 2 jars of marinated mushrooms. Allow the mushrooms to heat through and the liquid to reduce by half.